Computer manufacturer Lenovo announced its first foray into the consumer Chromebook market today: the new N20 laptop-style and N20p convertible multimode Chromebook computers. These Chromebooks are designed to be simple and portable – the heaviest weighs in at 3.1 pounds, measures 11.6” by 8.34” by 0.70” and has a battery that lasts a solid 8 hours. And with the less expensive N20 coming in at $279, they’re designed to be affordable, too. Both devices come with a simple Intel Celeron processor, an HD webcam, 16GB of internal storage (plus another 100GB in of space in the Google Drive cloud), Bluetooth 4.0 and WiFi. The big difference here is in the 1,366 x 768 HD display: The N20p has an upgraded 10-finger touchscreen that can switch from a traditional laptop mode to a 300-degree-rotated stand mode. 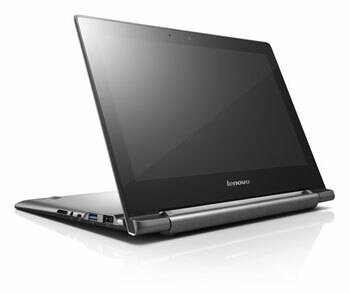 It's the same multimode concept that's built into Lenovo's Yoga tablet line. Is a Chromebook right for you? Personally, I wouldn’t recommend one as your only home laptop device. But if you’re looking for an inexpensive second computer capable of handling just the basics – light gaming, surfing online, checking emails, working on documents, printing and more – I think a Chromebook can be a solid buy. 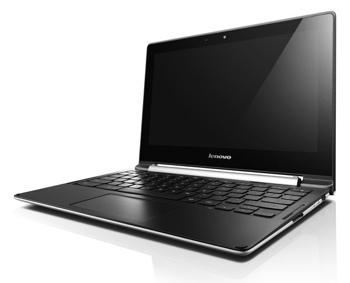 The N20 Lenovo Chromebook will be available in July for $279; the N20p convertible comes in August for $329.